Summer time is the best time to visit Reykjavik, Iceland. Between the months of June and August, the weather is pleasant and the days are long. There are almost 24 days of sunshine from late June to early July: this is what is referred to as the “midnight sun.” Because it is peak season there will be many visitors including families with children since schools have breaks in the summer. 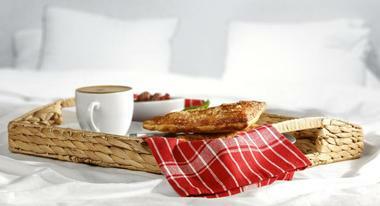 Summer also brings high hotel room rates. Winter can be very cold, but you’ll find great deals on hotel rooms. 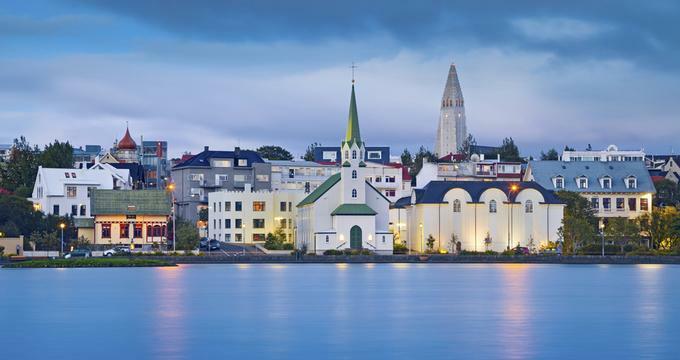 Early fall and late spring can be good times to visit Reykjavik - the weather is still comfortable, there are fewer visitors, and room rates are more affordable. January is Reykjavik’s coldest and wettest month. The average high temperature is a frigid 37°F (3°C) while the average low temperatures are bone-chilling at 27°F (-3°C). Rainfall in January is at 50 mm, making Reykjavik’s feel colder than it actually is. In February, the climate remains very cold with the average high and average low temperatures ranging between 36°F (2°C) and 28°F (-2°C). Despite sub-zero temperatures, February is a great time to head outdoors to catch the Northern Lights. Reykjavik Weather in March: It’s a sunny month in March with the average daily sunshine averaging at 12 hours. The bright sunny days are more than welcome as the winter season continues. The average high and average low temperatures remain the same for this month. April brings slightly warmer climates with the high temperature climbing to 41°F (5°C). Meanwhile, the low temperature also sees an increase to 32°F (0°C). In May, things stay quite cool despite the increase in temperature average. The average high temperature increases a handful to 48°F (9°C). The average low temperature also sees a 5-degree increase to 37°F (3°C). Reykjavik Weather in June: Reykjavik sees it’s driest month in June when the precipitation averages dwindle down to 20 mm. Meanwhile, the average high and average low temperatures measure in at 52°F (11°C) and 45°F (7°C) respectively. July is the warmest month of the year in Reykjavik. Despite this, the average high temperature still remains quite cool at 55°F (13°C). The average low temperature sees a small increase to 48°F (9°C). In August, the low temperature average decreases to 46°F (8°C) marking the start of the fall season. High temperatures remain the same. Reykjavik Weather in September: The lowest daily sunshine average is in September when each day receives about 8 hour of daylight. The decreased hours of sunshine are matched by cooler temperatures. Both high and low temperatures go down, measuring in at 48°F (9°C) and 41°F (5°C) respectively. October sees even cooler climates with the average high temperature dropping by 5 degrees to 43°F (6°C). There’s a larger decrease in the average low temperature which is 36°F (2°C). In November, the low temperature and high temperature ranges between 32°F (0°C) and 41°F (5°C). Expected rainfall is 30 mm. Reykjavik Weather in December: The lengthy winter season descends upon Reykjavik in December. During this month, the average high temperature sinks to the high 30’s at 39°F (4°C) while the average low temperature drops to 30°F (-1°C). Bird watching enthusiasts absolutely must plan to visit between April and May to catch the migrating birds appear in Iceland such as the puffin and the Golden Plovers. For wild weather and lower prices, April and May are also the best months to visit. To experience the power of Iceland’s waterfalls and enjoy the best of its lush landscapes, visit anytime between early June through August. The best of the Iceland’s foliage is best enjoyed between late October through early November, while those eager to explore Iceland’s glaciers should come between December and March. Travelers that are in the country to catch a glimpse of the Northern Lights should plan a visit to Iceland anytime between September and March when the nights are longer. Most visitors will arrive in Reykjavik by airplane. Keflavik International Airport is Reykjavik’s main airport: depending on your departure city it takes only between three and six hours to fly to Iceland. Icelandair is the national airline: it offers numerous flights from many destinations. There are several other budget airlines that fly into Iceland such as Wow air, Easy Jet, and Air Iceland. There are some major airlines with seasonal flights to the airport like Airberlin, Austrian Airlines, Delta, Lufthansa, and SAS. 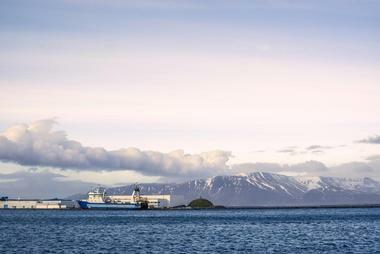 Another interesting way to arrive in Reykjavik is by ship. Smyril Line Ferry is a company that operates a weekly summer service from Denmark. There are several ways that visitors can get from the Keflavik International Airport into Reykjavik. There are car rental agencies at the airport: this is a good option for travelers who want to rent a car to get into the city as well as get around the city and see attractions outside of the city. The Flybus is a convenient way to get from the airport into the city. This bus leaves the airport every 35 to 40 minutes after the arrival of each flight. The trip into Reykjavik takes about 45 minutes. The BSI Bus Terminal is the city’ s main bus terminal. There are also taxis at the airport. Reykjavik’s official information center is the Tourist Information Centre located on Adalstaeti in the city. It is open seven days a week. The friendly staff will be happy to answer all of your questions like where to eat, where to shop, what to see and do, where to stay, and what are the best ways to get around the city. 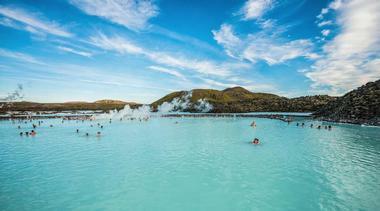 The staff can also give you information on the popular thermal pools and natural hot tubs and tours that include these and many of the other natural wonders that are located close to Reykjavik. 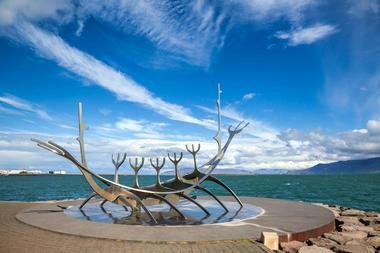 Here you can buy a Reykjavik City Card which is a one day, two day, or three day transportation and attraction pass. Reykjavik’s public transportation system is made up of many buses and bus routes that help visitors to explore the city in a convenient and affordable way. The routes cover all areas of the city and terminate at the main bus station, Reykjavik’s Central Bus Station Hlemmur. This is conveniently located on the main shopping street of Laugavegur. There are one way fares and transfer tickets are available upon request. 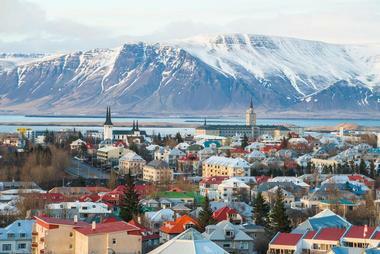 The Reykjavik City Card is a pass that offers one, two, and three day options. Many of the most spectacular sights are just outside of Reykjavik. Scheduled bus services leave from the Central Bus Station and offer a variety of choices to see the sights outside of the city. Some people prefer to drive a car when they visit Reykjavik. There are many car rental agencies at the airport, so you can start your trip from there. 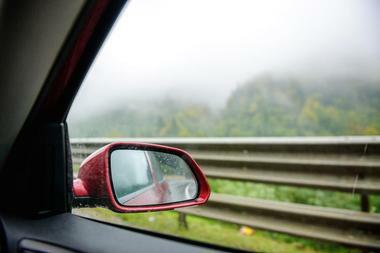 Driving a car gives you the freedom to go when you want to go, see what you want to see, stay as long as you like, and then go back to your hotel when you want to. Route 1, also known as the ring road, is a mostly paved road that is 832 miles long. This road passes by many of the incredible sights and attractions that are located outside the city center. Most drivers in Iceland are courteous and responsible. 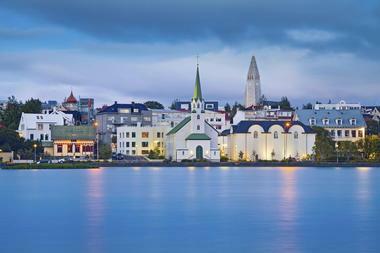 The main sights in Reykjavik are relatively close to each other so it is easy to walk around the compact city. By walking you’ll get a closer view of all that the city offers and you can pop into a restaurant or shop along the way. Seeing the city by bike is very popular. There is a good network of paths, and riding on footpaths and sidewalks is generally tolerated. 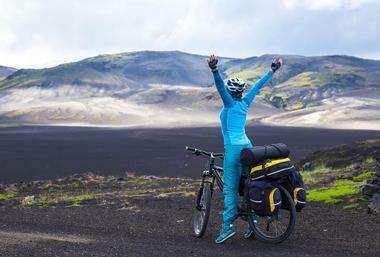 Borgarhjól is a bike rental company on Hverflsgata. Their high quality bikes can be rented per day, or discounts are offered for longer rentals. Taxis are available 24 hours a day and can be booked by phone. For many years Reykjavik was not particularly known as a dining destination. Part of that has to do with an absence of food traditions that are found in most countries. But things have slowly changed in Reykjavik. Today young chefs are using local, and often unusual, ingredients to create delicious fare for locals and visitors alike. Prices for many things including food are quite high in Iceland: be prepared to spend on a meal whatever money you saved by walking instead of taking a taxi! 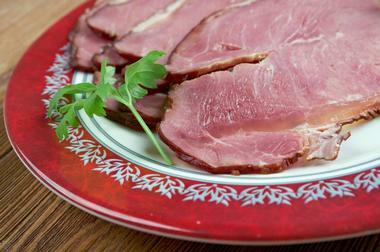 Some visitors occasionally splurge at a restaurant, and then shop at the local grocery store for other meals. Pylsur are hot dogs: they’re everywhere because people in Iceland think their’s are the best on Earth! 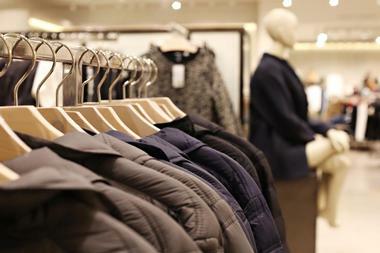 Although shopping in Reykjavik cannot be compared to shopping in New York or Paris, there is a shopping scene in the city. This shopping scene is fueled by new and innovative designers, craftspeople, and shop owners. Most of Reykjavik’s shops are found on Laugevegur and Skolavorbustigur Streets. If you’re looking for a deal, leave the main streets and wander around the side streets. For souvenirs, check out Austurstraeti. Other shopping streets include Bankastraeti and Hafnarstraeti. If you are taking a short or not so short trip outside of Reykjavik, make sure to stock up on what you are going to need, because you’ll quickly find that most everything is more expensive when you are out of the city. 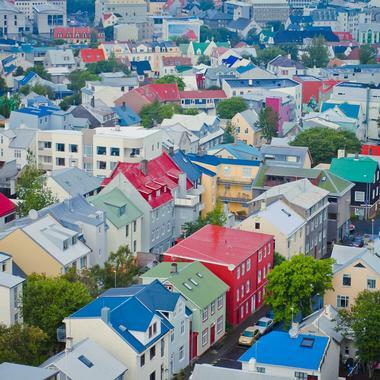 Reykjavik is a city that is made up of some very interesting neighborhoods that visitors should explore. The first neighborhood is the downtown or city center neighborhood: this is the heart of Reykjavik. Most of the major attractions are here as well as hotels, bars, restaurants, and shops. Vesturbaer is an attractive neighborhood just west of downtown. It is close to the sea and can be reached by walking or by bus. This is a good place to find more affordable accommodations than you’ll find in the downtown area. Laugardalur is a good neighborhood for families with children: the Reykjavik Zoo, entertainment park, an outdoor swimming pool, and botanical gardens are all located in this neighborhood. 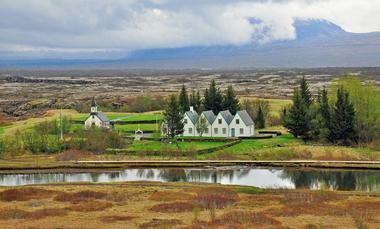 Iceland has some of the most stunning scenery in the world, and Reykjavik is a fun place to hold a wedding. There are many hotels that cater to weddings: these venues include the CenterHotel Thingholt, the Radisson Blu Saga Hotel, the Grand Hotel Reykjavik, the Hilton Reykjavik Nordica, and many more. Not far from the city the Hotel Budir has a quaint wooden church and views of the Snaefellsjokul Glacier. Because of Iceland’s outstanding beauty, many visitors choose to venture further from the city to find their perfect outdoor wedding venue. Some of the most popular of these include Thinvellir National Park, the Seljalandsfoss and Skogafoss waterfalls, Reynisfjara Black Sand Beach ,Dyrholaey Sea Cliff, and more. There are many different kinds of accommodations that are available in Reykjavik from luxurious hotels to bed and breakfasts, guesthouses, and budget hotels. The peak season is from July to August and warm weather, crowds, and hotel room rates are at their highest during these month. Room rates are also high during May, June, and September even though they do not fall within the peak season. Luxury hotel properties include the CenterHotel Thingholt Reykjavik, the Holt Hotel Reykjavik, the 101 Hotel, the Borg Hotel Reykjavik, the CenterHotel Arnarhvoll Reykjavik, and many more. Some visitors might be disturbed by the late night revelry in the city: they can opt for accommodations in one of the areas outside of the city center.